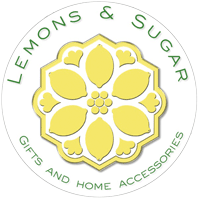 Thank you to all for coming to the anniversary party at Lemons & Sugar Gift Shop. I hope you had lots of fun and enjoyed meeting some of the talented artists and craftspeople who create the amazing items we offer in the shop. Thanks to all of you for making my first year so wonderful. I am looking forward to all the joy our next year will bring. With the holidays upon us I hope to see you all again soon. Below is a list of raffle winners (with abbreviated last names). Many of you picked up your prizes as the winners were called but some still remain. Please come claim your prize at the shop! Thanks again! $50 Gift Certificate from Poppi- Amy F.
Pearl Earrings from Celebration Bridal- Janet S.
$40 Gift Certificate from Annie's Boutique- Debbie Gaum. St. Honore gift card- Beth Mec. 20% off for you and 3 friends from Doll House- Melanie Pot. #1 Gift Basket from Rosehill Manor- Laurie Hil. #2 Gift Basket from Rosehill Manor- Sue W.
Candle from Madison Avenue Candle Co.- Miko Ni. 2 sugar scrubs from Soul Scents- Ginny Hou. 3 tea saucers by Jan Napolitan- Martha G.
Long Sleeve T-Shirt from Trident General Store- AnneMarie W.
Spa Selection from Lunada Bay Soap- Laura B. One FREE Haircut from Lunada Bay Barbers- Mike F.
One FREE Pizza from Rafaello's- Beth Meyer. Jewelry from Lemons & Sugar- Carrie C.
10 free nights of Red Box movie rental- Vi San. Journal from Lemons & Sugar- Rachelle C.
Coaster Set from Lemons & Sugar- Melissa M.
Child's Apron from Lemons & Sugar- Stacey McV. 2 Liani's Notecards and votive candle from Lemons & Sugar- Jan Week. work by local artists and crafts people.